A new report, “The High Cost of Short-Term Rentals in New York City,” claims Airbnb has caused the median rent in New York City to rise by 1.4 percent over the past three years, costing renters anywhere from an extra $380 to $700, depending on the neighborhood. From September 2014 to August 2017, Airbnb is estimated to have “removed” anywhere from 7,000 to 13,500 units from New York City’s long-term rental market, because of Airbnb hosts who are listing entire homes or multiple private rooms within a home for extended time periods. In the last year, the report says, 12,200 entire-home listings were frequently rented (rented for 60 days or more, and available 120 days or more) and 5,600 entire-home listings were very frequently rented (rented for 120 days or more, and available 240 days or more). 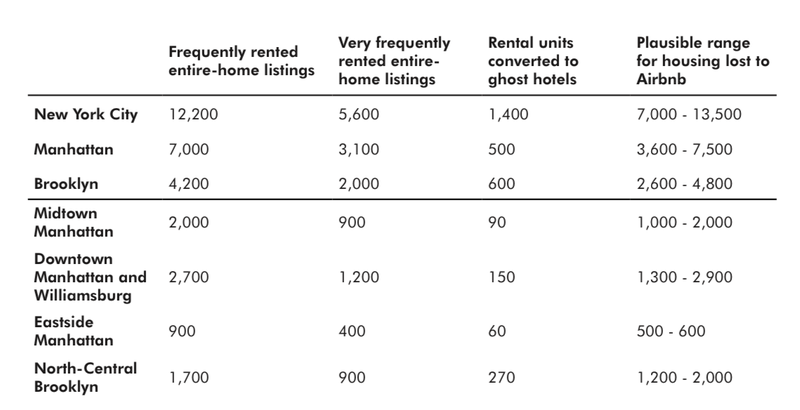 Moreover, 4,700 private-room listings were labeled “ghost hotels,” where Airbnb hosts are actually renting out multiple rooms within one apartment or one building. Lastly, the report notes that 87 percent of entire-home/apartment listings are illegal under New York City’s Multiple Dwellings Law, which currently bans homeowners from renting an entire home or apartment for less than 30 days, and that these illegal listings account for $435 million in revenue. The report highlights longstanding issues between Airbnb and New York City legislators who say Airbnb is negatively impacting affordability for renters in the city and is lessening potential revenue since hosts running “ghost hotels” aren’t paying hotel taxes. Although the results of the study don’t seem to bode well for Airbnb, the home sharing site says the results are skewed because the McGill University report is funded by the Hotel Trades Council and a number of housing and tenant advocacy groups. Furthermore, Airbnb told Curbed the report’s methodology is “flawed” because it examines the number of nights a home is listed for rent, rather than the number of nights it’s actually occupied. 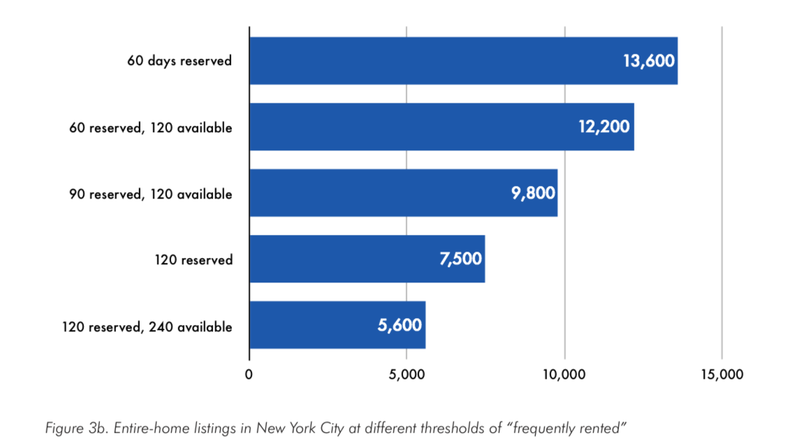 Airbnb also says the break-even point for it to “make sense for an apartment to be taken off the long-term rental market” is 172 nights — much lower than the study’s claim that the typical listing in New York is rented for 47 nights.